I was lucky enough to visit London for work twice in one month. 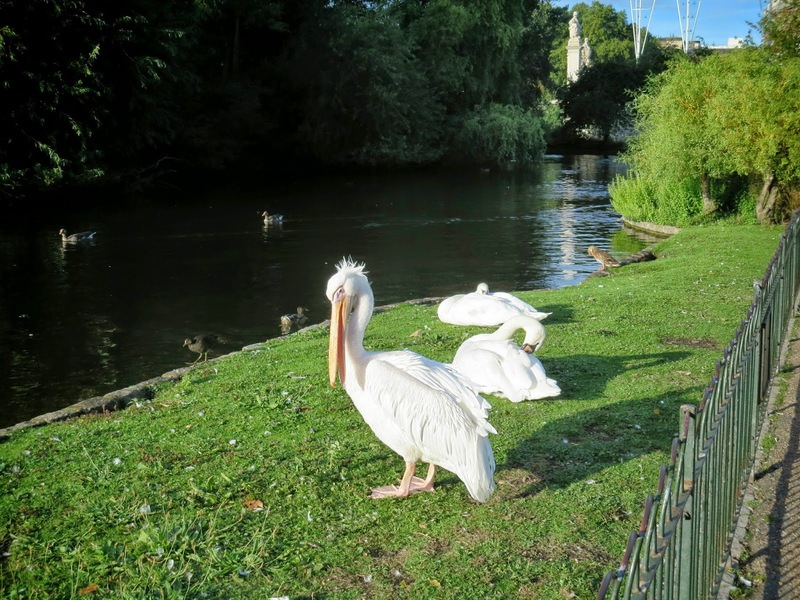 I enjoyed my pre-work walk through St. James Park so much that I decided to do it again. In a previous post, I highlighted that the park is fantastic for birding. 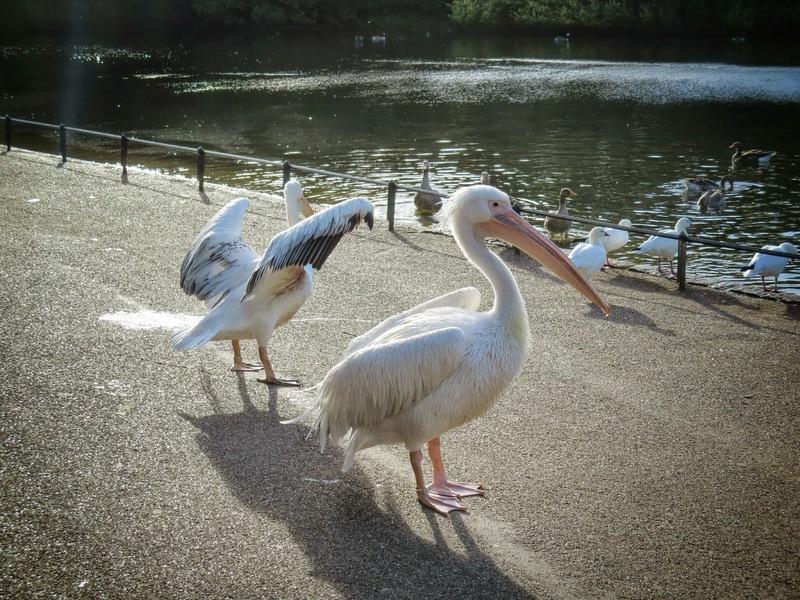 This time, I got to meet the famous Eastern White Pelicans unexpectedly up close. 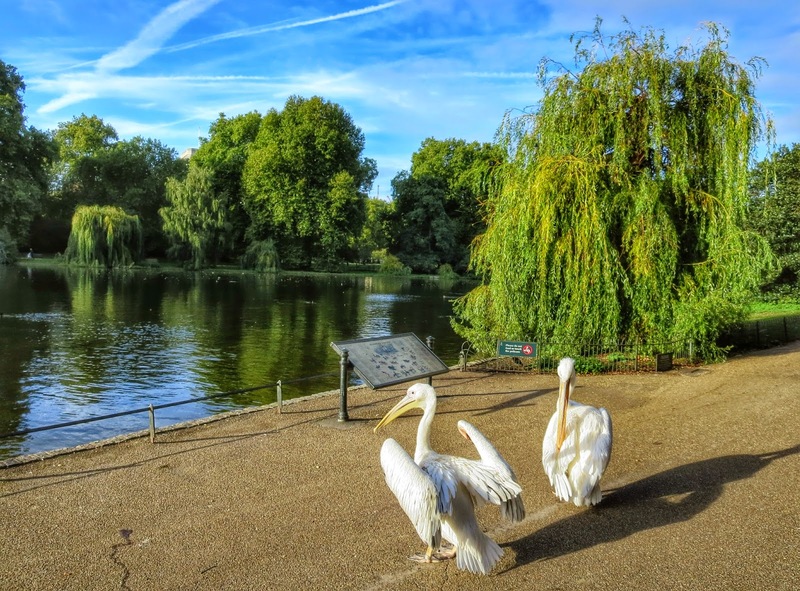 Normally they sit on a little island in the middle of the lake in St. James Park. This time, I found them on the sidewalk. You could call this post a Sidewalk Safari in the most literal sense of the word! 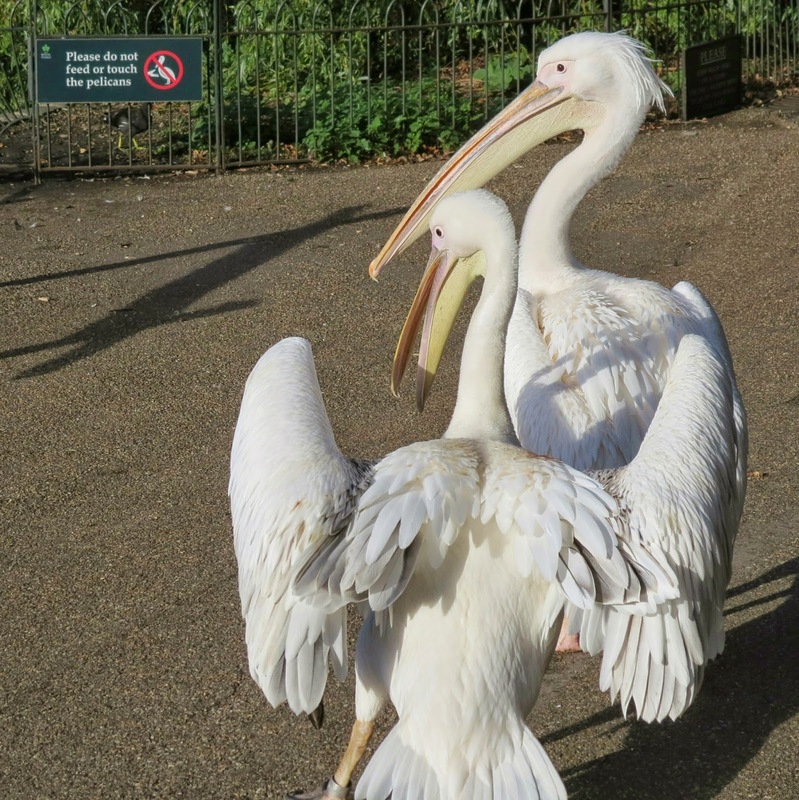 Two pelicans had staked out a place not far from a sign that reads: Please do not feed or touch the pelicans. This feathery pair was simply hanging out getting some sun in the early morning hours. 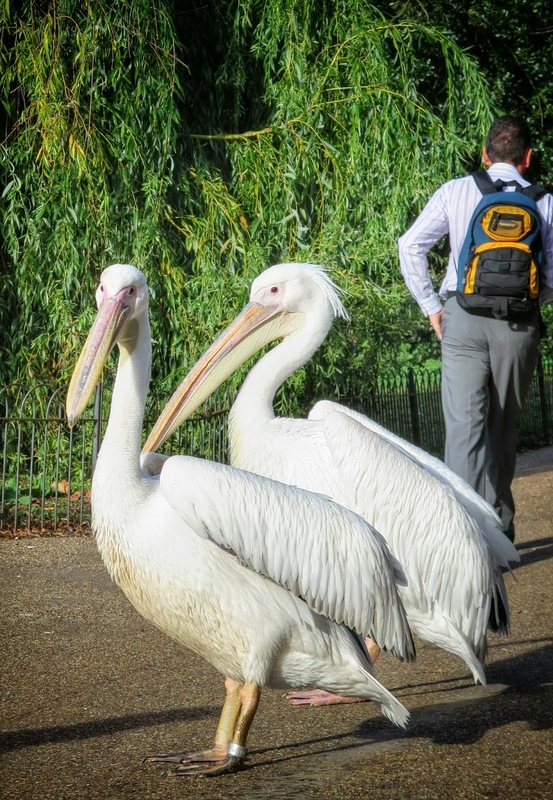 I've purposely left the guy with the backpack in this photo so you can see just how huge these pelicans are! 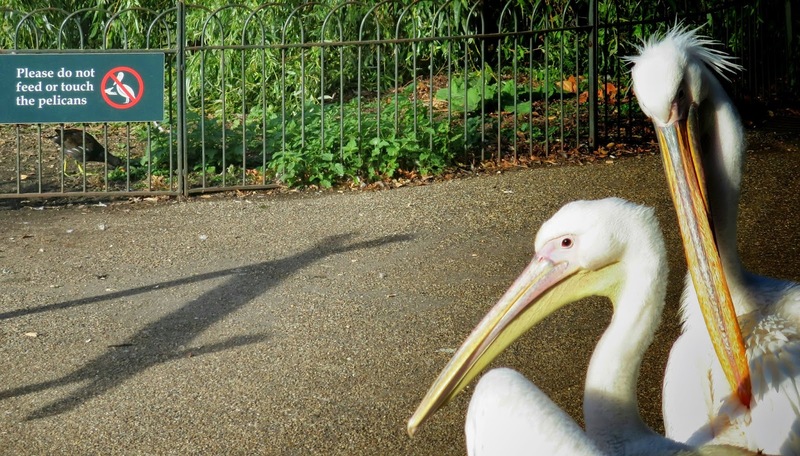 This fellow was trying to go incognito by hanging out with the swans on the grass (that's Buckingham Palace in the background). Once again, it paid off to get up early so I could take a morning stroll before work. I was positively delighted to meet these local residents!